Aldous Huxley (1894-1963) was an English writer and editor of Oxford Poetry. He interests included parapsychology and philosophical mysticism, and he is known in many academic circles as a leader of modern thought. He is the recipient of both the James Tait Black Memorial Prize and the Companion of Literature by the Royal Society of Literature. His many works include Brave New World, Themes and Variations, and The Genius and the Goddess. The following is a personality profile of Aldous Huxley based on his work. He is empathetic, he feels what others feel and is compassionate towards them. He is laid-back as well: he appreciates a relaxed pace in life. 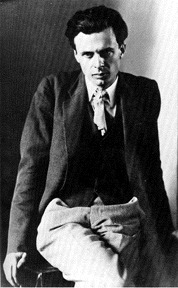 But, Aldous Huxley is also philosophical: he is open to and intrigued by new ideas and loves to explore them. This book has appeared on other people's recommended reading list through out my life.